This theme is accessible use of HTML5+CSS3,and responsive web design. Can use in any site, If you change picture and text. 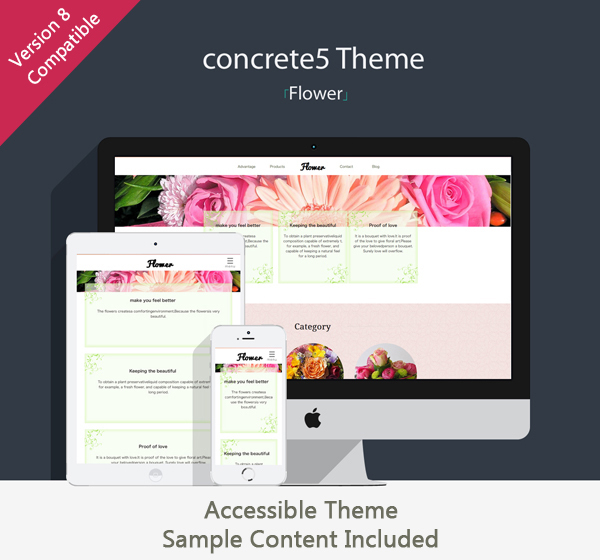 Please read About Theme flower and How to install and customize page for the detail explanation. This theme has the Sample Content. May be You can easily build accessible site, if You install theme with Sample Content. This theme has page templates of 6 type. This theme has custom templates for blocks of 12 type. Please use these custom templates for blocks.